At first glance, it might seem odd that a public health journal would initiate a section about arts and humanities. Public health, after all, deals with populations; it eschews the individual except as it forms one of a group. The creative arts, however, deal almost exclusively with individuals. Literature, in particular, always has a protagonist, and the protagonist is never “Irish alcoholics with pancreatitis,” or “female prisoners receiving hepatitis B vaccination,” or “South Asians with cardiovascular risk factors,” or “UK asylum seekers with infectious disease,” or “teenaged asthmatic smokers.”[i] A protagonist is an individual. Madame Bovary, Huckleberry Finn, Jay Gatsby, Pip, Hamlet, Odysseus, Harry Potter, Holden Caulfield, Captain Ahab, Anna Karenina, Sherlock Holmes, and Jean Valjean are individuals, not populations. What happens to each is entirely unique. There is nothing in their characters that is “applicable” to larger populations; they define individualism. Our pleasure in reading these novels is the exhilaration of being swept up in the singular journeys of these remarkable individuals. As an academic internist, I teach medical students and house staff in both the inpatient and outpatient settings. I have often been disappointed in how easily the house staff lose the trees for the forest. Too often, they take a “population” approach to their patients, though not exactly in the public health sense, more in a category approach: Chest pain patient = telemetry, serial enzymes, echo, stress. Pneumonia patient = x-ray, IV ceftriaxone plus azithro. Altered mental status patient = CT, LP, pan-culture, broad-spectrum antibiotics. 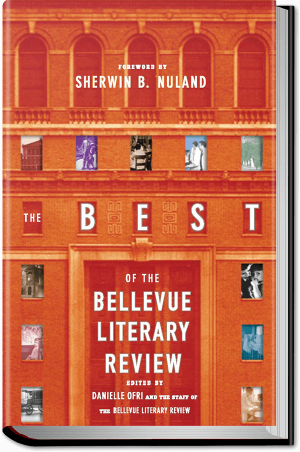 A few years ago I began to supplement rounds with readings from classic literature or our own Bellevue Literary Review. I always chose stories, essays, or poems that highlighted the individual. I wanted to use literature’s greatest strength—the uniqueness of the protagonist—to remind house staff that because each patient’s chest pain occurs in a different life, that each chest-pain story is, by definition, exceptional. Up until the invitation to write this essay, however, I had never thought to look at literature from a public health perspective. Like most internists, my gaze is locked only on the one patient in front of me, and then the next one, and then the next one. There is rarely time to pick up one’s head and consider the wider medical perspective. And like most writers, my gaze is locked only on the one story in front of me. Therefore, I was forced to pause and think about how I might pull together literature and public health. After reading some of the current literature of public health, one aspect resonated most strongly to me as a practicing physician—the understanding of the social context of disease. Social context is a broad palette. In the second paragraph of this essay, I listed some of the most memorable protagonists in literature. Each is highly individual and unique. But each inhabits a complex, carefully wrought, environment. Most are defined by, or defined against, their respective social contexts. Perhaps this is one way in which the humanities can be applicable to public health. And then I arrived at “Ward No. 6.”[vi] This story is a novella-length description of the inhabitants of a nineteenth-century psychiatric ward. The dreariness, horror, and what we’d now term abuse, is soberly laid out. Chekhov sets about describing individual characters—the milliner who went crazy after his hat factory burned, the cheerful postal worker who is convinced he has won the prestigious Stanislav medal, a catatonic peasant who stares at the floor all day, the educated provincial secretary felled by paranoia—but in the end he has described, in essence, a population. By creating these individuals, Chekhov painted a representative picture of the deplorable condition psychiatric patients were made to endure. His intention may have been solely to tell a good story, but one can feel the roots of a population concern in this work of fiction. Two years prior, in 1890, Chekhov had actually undertaken what might be called an epidemiological survey. He traveled 5000 miles—mostly by horse-drawn carriage—to the Sakhalin penal colony, on an island off the Pacific coast of Siberia. In the course of three months, he reportedly managed to interview 10,000 people. He catalogued not only breadth and extent of disease, but he documented the horribly dehumanizing conditions including physical abuse, forced prostitution, and rampant corruption. It would be a storybook ending if the eventual publication of Chekhov’s book, The Island of Sakhalin, galvanized the public and government to reform the penal system to even the most basic of humanitarian care. Unfortunately, the ending turned out to be more Chekhovian than storybook. A government commission inspected the island, but nothing was done. 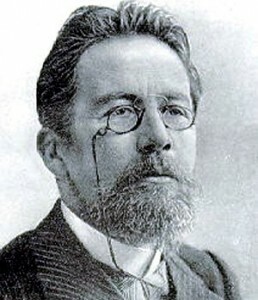 Chekhov later submitted his book as a possible thesis for an advanced degree in academic medicine. The response was similarly underwhelming. Chekhov remained a small-town doctor, and the conditions at Sakhalin remained appalling[vii]. A few years later, on the opposite side of the world, an opposite reaction to a work of literature occurred. Though Upton Sinclair’s 1906 novel, The Jungle, was fiction, its revelation of the execrable conditions of the Chicago meatpacking industry had the impact of investigative journalism. Before the year was out, the United States Congress passed The Meat Inspection Act and The Pure Food and Drug Act, the latter laying groundwork for the creation of the FDA (Food and Drug Administration) which now regulates all American medications, vaccines, medical devices, and foods. This is one of the most powerful examples of literature affecting public health. Despite the enormous impact of the book, and its continued presence in academic curricula, the actual literary qualities of Sinclair’s writing received far less praise. His clichéd and overwrought writing style left much to be desired. Although The Jungle was an international bestseller that made its Socialist author quite wealthy, Sinclair’s other writings were largely ignored. Another aspect of public health is the epidemiology of disease outbreaks. With infectious diseases such as the bubonic plague, typhoid, HIV, and Ebola virus, there is a particular drama of transmission that has not gone unnoticed by novelists. From Daniel Defoe’s A Journal of a Plague Year (1722), to Mary Shelley’s The Last Man (1826), to Albert Camus’ The Plague (1947) to Michael Crichton’s The Andromeda Strain (1969), writers have leaned on the effects of disease on populations as compelling plot devices as well as allegories for societal issues. Certainly nonfiction writers (Richard Preston, The Hot Zone, 1994) realized they need do little more than describe the gory details of microbial conflagration to ensure a page-turner. None of this should come as a surprise, since death on a vast scale—whether fictional or real—has always had the power to grasp society’s attention. But what is less obvious, is how this natural fit between epidemics and literature gives rise to a reverse corollary: Instead of writers using epidemics to supply plot to their literature, there is a trend toward using literary techniques to “frame” epidemics. 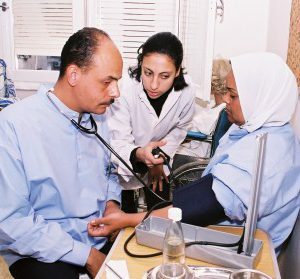 Outbreak narrative is a term used to describe the application of story techniques to epidemics, a technique used by societies to help incorporate the meaning of the particular epidemic at hand. [ix] These narratives utilize the classic elements of thriller novels: a murky setting of evil (a remote African jungle teeming with virulent viruses), a villain capable of wreaking havoc (the carrier who knowingly or unknowingly transmits the infection), innocent victims (usually unsuspecting inhabitants of the civilized world), and a hero (the scientist who hopefully can save the day). An example of how the outbreak narrative assumed importance is that of Typhoid Mary. There were numerous typhoid epidemics in the United States at the turn of the century,[x][xi][xii] but it was the story of Mary Mallon—the first known asymptomatic carrier— that riveted the public’s imagination. In the theory of outbreak narratives,[xiii] this is because this young Irish immigrant embodied so many characteristics of the prototypical villain as well as another classic literary character, the fallen woman: Mallon arose from dubious circumstances, she was willful, she flouted societal standards for proper female conduct, she had multiple sexual partners, and there was even a hint of venereal disease. The case of Mary Mallon and that specific typhoid outbreak was imprinted upon society because it hewed so faithfully to this narrative structure. Why else might literature and the humanities be important for public health? Another answer might be the skills of creative thought necessary for the practitioners of public health. The roteness of medical training that causes many physicians to lose their focus on patients’ individuality also serves to narrow their range of thinking skills. One of the saddest aspects of medical education is to watch the nimble minds of students gradually ossify into automatized, “logical” processors of data. One of the beauties of literature and the arts is their inherent illogicality. The act of interpreting a poetic metaphor (or, better yet, creating that metaphor) requires the coordination of disparate types of thinking, a mental cross-referencing that cannot be quantified in a clinical prediction rule or a population attributable risk. Approaching public health problems requires a type of creativity that is distinct from that required—and often, sadly, lacking—in clinical medicine. The “patient” cannot necessarily be fully examined, or even touched. The variables may range from microbial pathology to the vagaries of human free will to the political imbroglios of the day. To lasso such heterogeneous factors into a single hypothesis requires agile and often unconventional thinking. Rallying the motley parts of our brains—as Chekhov might have put it—is something that is rarely emphasized in standard academic training. 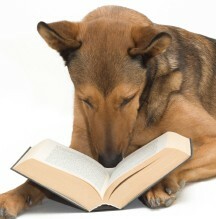 But it is what we do naturally when we read Joyce, Aristophanes, or Saramago. Thus not only is it the content of great literature, but also the creative thought processes it engenders, that make literature applicable to public health. And lastly, there is the aesthetic. In preparing for this essay, I leafed through a few recent issues of JPH and AJPH. With all due respect to the excellent quality of research in both pinnacles of the public health field, the literary merits of the prose were—to phrase it gently—decidedly un-Chekhovian. A steady diet of the dreary clinical tone that characterizes most medical literature can certainly glaze the brain. What joy, then, to read something for sheer pleasure. What bliss to read words that exult in the aesthetic. In the netherworld of endless grant writing, or the tedium of statistical analysis, or the nadir of extended fieldwork, or the doldrums of protracted research studies, a dose of the humanities can offer an elixir for the soul. The impact of public health is enormous, but the techniques of epidemiology can sometimes serve to obscure the trees in the forest. While this is necessary for the calculations and research, it may exhaust the spirit of the individual public health worker who might—in times of frustration—forget the reasons he or she entered the field. There is an oft-repeated quote from the Talmud: “And whoever saves a life, it is considered as if he saved an entire world.” [xiv] The sentiment of this philosophy is what motivates many of us practicing clinicians. If it weren’t for the enormous rewards reaped from being able to help a single patient feel better, most of us would drown in the regulatory morass and quit medicine altogether. But for public health, this Talmudic saying could be inverted: whoever saves the world, it considered as if he saved a single life. After all, it isn’t “populations” who benefit from public health initiatives, it is individual people. When mosquito nets are distributed to rural African villages, the steep decline in mortality makes an impressive graph. But what is truly impressive are the thousands of actual individuals who continue to walk this planet as a result of that intervention. Arts and humanities have the potential to serve as a bridge to connect the population and the individual. This is something that Anton Chekhov appeared to understand instinctively. His illumination of the human being—as both an individual as well as the product of his/her social context—is a model for how to integrate these aspects of public health. Each person is a distinct being. And a population is a collection of these distinct beings. Medical literature often has trouble coalescing these concepts. Great literature rarely does. [ii] Chekhov, Anton. Motley Tales and a Play. New York Public Library Collector’s Edition. NY:Doubleday 1998. [viii] Kantor, AF, Upton Sinclair and the Pure Food and Drugs Act of 1906. “I aimed at the public’s heart and by accident I hit it in the stomach”. Am J Public Health. 1976; 66:1202–5. [xii] Cirillo VJ. Fever and reform: the typhoid epidemic in the Spanish-American War..J Hist Med Allied Sci. 2000;55:363-97.